Mazda owners in Johnson City and Gray choose the ASE-Certified auto mechanics at H-Tek Auto Care for premier auto repairs. 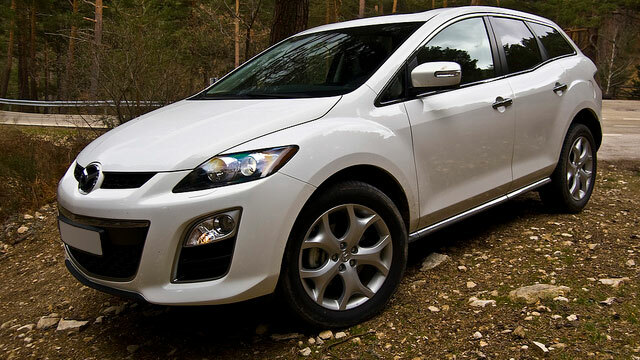 Mazda states, “When Driving Matters” and H-Tek Auto Care wants to help ensure that your vehicle is operating in pique condition and ready for the next S-turn on the mountain. Eric and his team of ASE-Certified auto mechanics understand how important it is to keep your Mazda operating at its best and have years of experience and training to ascertain the needs of your vehicle. We understand that when repairs are necessary, this doesn’t make you warm and fuzzy, but at H-Tek Auto Care we will go above and beyond to make the experience open and transparent so we can work together to determine the best path for your Mazda’s safest handling. In the fast-moving auto repair world, we recognize just how important it is to stay up to date with the latest advances in technology. Each of our auto mechanics is required to pursue a minimum of 30 hours a year of continuing education so you can feel confident in our abilities to identify which repairs are necessary now, and lay out a plan for the future. “Professional, honest & friendly people! I’m very satisfied with their service!” -- Peggy L.
We back all of our repairs with a nationwide 3-year, 36,000mile warranty because we want you to drive away feeling confident in the handling of your Mazda and we want to make you apart of the H-Tek Auto Care family. Servicing clients in Johnson City and Gray, we are proud of our five generation, auto mechanic lineage and when you utilize our shuttle service, chances are Don, Eric’s father, will be your driver. So, when your Mazda needs servicing or auto repair, come visit us at 5882 Bobby Hicks Hwy., Gray, TN 37615 or schedule an appointment online.